Design, Build, Landscape Construction | Athens, Watkinsville | Georgia Landscapes Inc.
Georgia Landscapes offers an all inclusive assortment of design-build services. From the initial design consultation, we provide our customers with a comprehensive plan of their project. Our team of experts — registered landscape architects and construction managers — creatively pool resources to ensure that you receive the highest level of service. 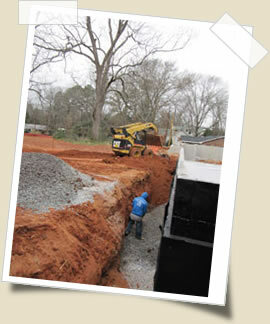 Our goal is to deliver beautiful landscapes within your budget. We believe in personal service and are committed to being upfront with our customers of our design plans and the scheduling of your project, from the very beginning to completion. We understand landscape and all that it entails. Landscape development is a creation of both complementary living things that interact with the non-living, synchronizing nature... at its BEST. 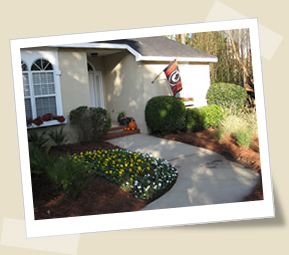 We'll make your landscaping dreams a reality! Contact Georgia Landscapes today to begin your design consultation. 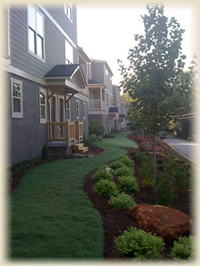 "Hands down, the best commercial landscape company we've ever dealt with! Attentive, responsive, and proactive. We couldn't ask for more."